With so much competition on the internet in every industry and niche, it can be difficult to make yourself stand out from the crowd, especially if people don’t know who you are or what you do (yet). Perhaps you already have a website and thought that if you built a snazzy looking website then the leads would just flow right in? You may have thought... if you built it, they would come. If you already have a website and it's not working as well as you would like, it may just take a few tweaks or a simple website redesign to power up the results and improve the return you are getting from your existing website. That is why we have put together a report with some relatively quick and easy changes you can make to your website. Often making just a few tweaks can dramatically improve your chances of ranking online and convert leads into customers for your industry and location. The guide, which outlines 5 simple steps to improve your small business website, can be downloaded instantly. Simply enter your details in the red box for immediate access. The thing is we know that you don’t really want a website. What you really want is an online presence... a solution that attracts the right people to you. You want your customers to find your business, and like you and trust you enough that they want to do business with you. We believe that is why you have a website, so that it can work hard as part of your marketing kit. That is what your website does... it works as a machine to help you grow, to help your business make more sales. And that’s where we come in to help you with that. As a small business owner, you probably hear lots of things and don’t know what to believe. Everyone is telling you what you should be implementing on your website to increase the traffic and number of qualified leads coming to your site, but what is best for you and your business? Paid Advertising (PPC), including Google Adwords, Facebook Ads, and on and on. We aim to eliminate the confusion and overwhelm to make the process as easy as possible for you. Determining what is the best solution for your business and what will deliver the best results for your budget is what we are here for. 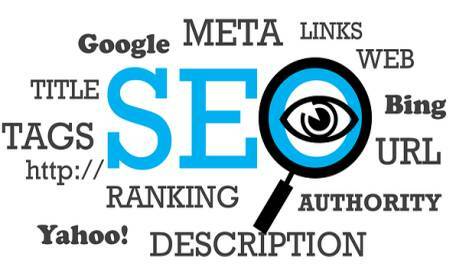 We specialise in Search Engine Optimisation (SEO), Local SEO and Content Marketing. We work hard to get your business to rank organically in Google (and the other search engines too). Once we know that it’s performing, we can add in other solutions to the mix such as paid advertising (such as PPC) and email marketing campaigns. However, we also know that not everyone wants to dive in and get their hands dirty – we understand you may have better things to do and you would prefer to leave the technical stuff to the experts. If this is you, then you are in the right place! Our website designers and developers love working with small business owners that are committed to getting better results online. We work with you to develop an online marketing strategy that aligns with your business goals to ensure that your website, social media, SEO and digital marketing activities meet your business objectives, delivering better outcomes and a return on your investment. So if this is you, then please make sure that you check out our Website Design and Development Process here, or how to actually Get Started with us here. We specialise in designing websites that generate leads for small businesses, so give us a call and let’s talk about the best options for you.